Recombinant human IL-17 (IL-17A) protein (ab9567) can be used as a positive control in WB. 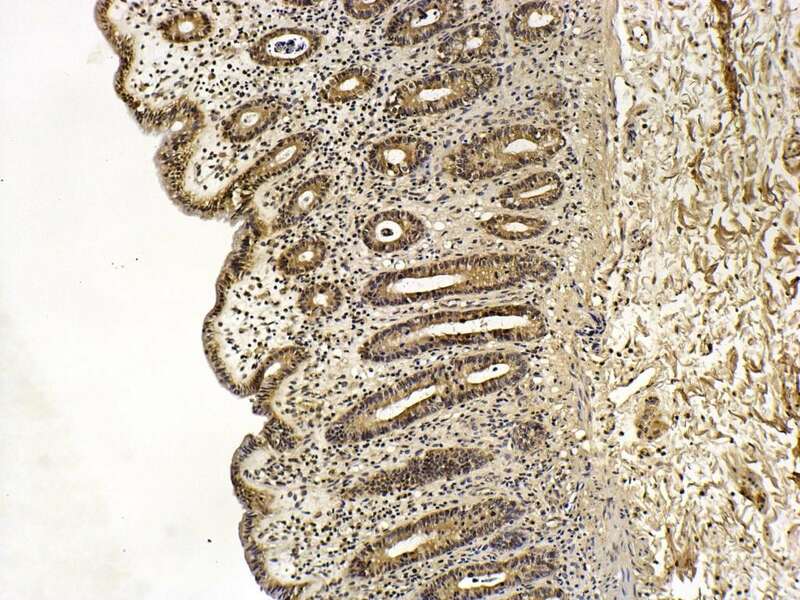 IHC-P: Human colonic mucosa tissue. Our Abpromise guarantee covers the use of ab9565 in the following tested applications. ELISA Use a concentration of 0.5 µg/ml. Allows the detection of 0.2 - 0.4 ng/well of recombinant hIL-17 (assuming 100 µl/well antibody solution). Ligand for IL17RA and IL17RC (PubMed:17911633). The heterodimer formed by IL17A and IL17F is a ligand for the heterodimeric complex formed by IL17RA and IL17RC (PubMed:18684971). Involved in inducing stromal cells to produce proinflammatory and hematopoietic cytokines (PubMed:8676080). Belongs to the IL-17 family. Found both in glycosylated and nonglycosylated forms. Publishing research using ab9565? Please let us know so that we can cite the reference in this datasheet. I am planning on using an interleukin 17 antibody (ab9565) in a western blot. The samples I will be looking at are human colonic mucosa. I notice this antibody has been tested in western blots. Is there any information on the protocol that has been used? In particular, I am not sure what homogenising buffer to use on my tissue samples. In the past we have usually used RIPA buffer, but I'm not sure if this is suitable. Thank you for your enquiry regarding ab9565. We do not have any recommendations for lysis buffers, as we do not test this antibody on cell lysate in our labs. As the datasheet indicates, this antibody has been tested on recombinant hIL-17 at a concentration of 0.1 - 0.2 µg/ml. We have used it in conjunction with compatible secondary reagents the detection limit for recombinant hIL-17A is 1.5 - 3.0 ng/lane, under either reducing or non-reducing conditions. 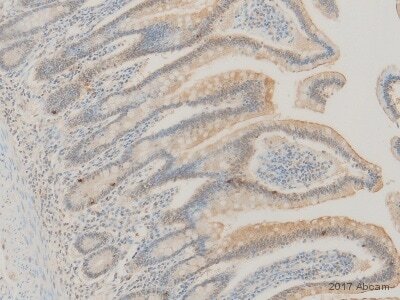 However, if you have been able to use the RIPA buffer in the past, then it should be fine for this antibody.